This antique Cross date is from the 1800’s. 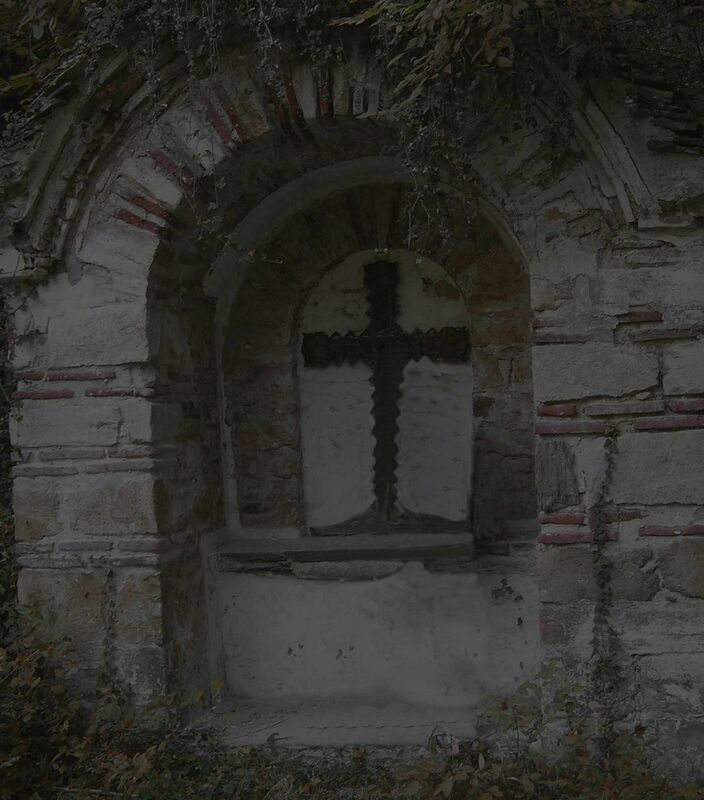 On the top left part of the Cross, some characters can still be recognized. 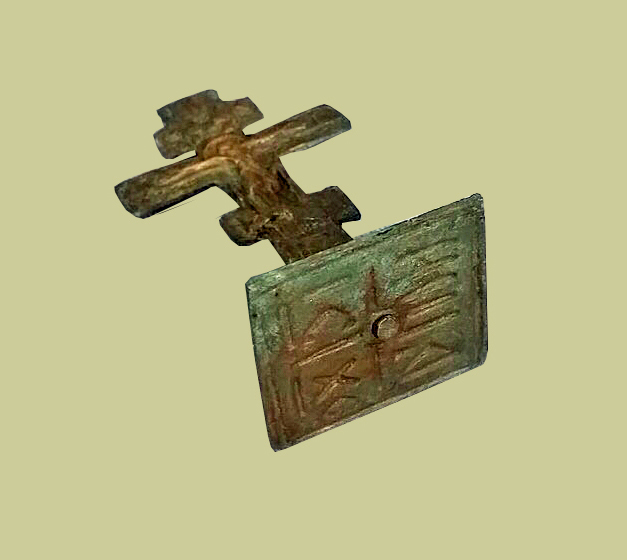 Because of the specific look, type and style, it is believed that the Cross was made sometime between 1850 - 1890. 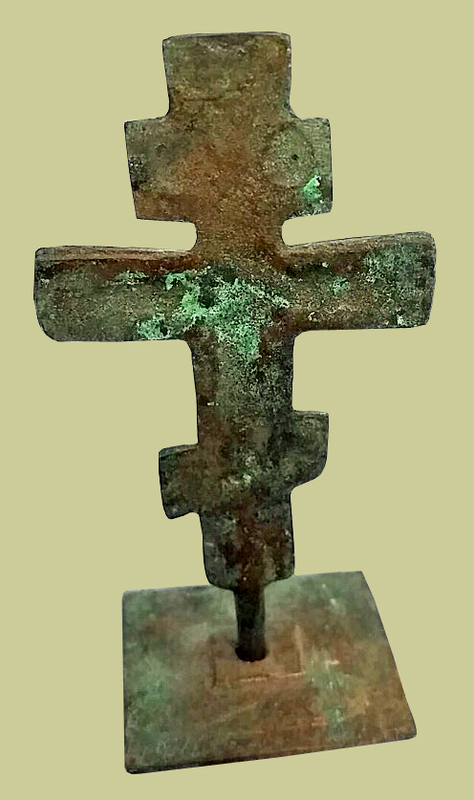 The material used for making the Cross is brass. These types of Crosses were used by the priests of the Eastern Orthodox church to make a mark on the bread before baked (bless the bread) specifically baked for Easter. The Cross is unique and very valuable because of how old the Cross is, the purpose for which it was made, and because nothing is missing, it is complete.